‘Wings over Waves’ is an addon and no stand alone program! To play it you need one of the above installations. ‘Wings over Waves’ should run under all future upgraded versions of PF and FB+AEP+PF. If a future upgrade for Pacific Fighters should bring changes which makes any corrections nescessary, we will upload a patch on this website as soon as possible. >>> Over 450 handbuilt immersive Missions total. 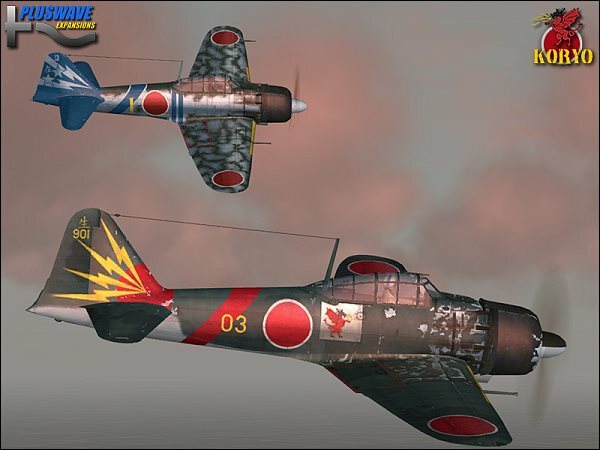 >>> Over 600 high quality plane skins. This time with skins for bombers too. >>> Surprising Stories for every unique character. >>> Extremly high level of detail at airfields, ground targets and other installations. Top Atmosphere! >>> Compared to Rebirth of Honor many more and greater numbers of planes in the air. 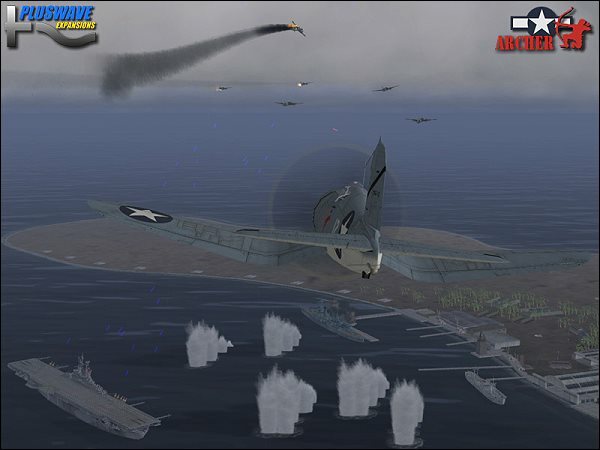 Huge air battles with up to 60 planes. >>> Containing four seperate campaigns. Two US Navy and two Imp. Jap. Navy. 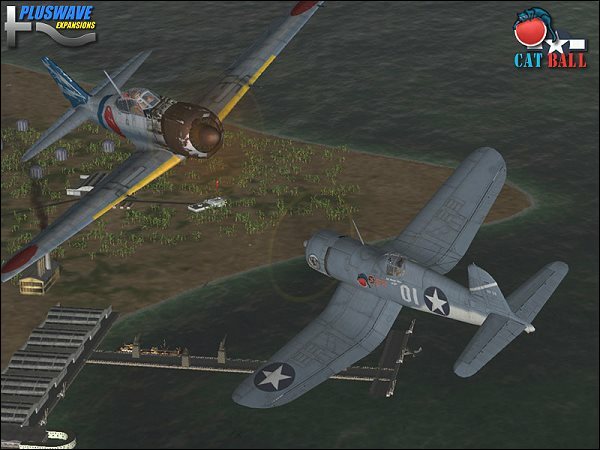 ‘Wings over Waves’ is a campaign pack containing four seperate campaigns. 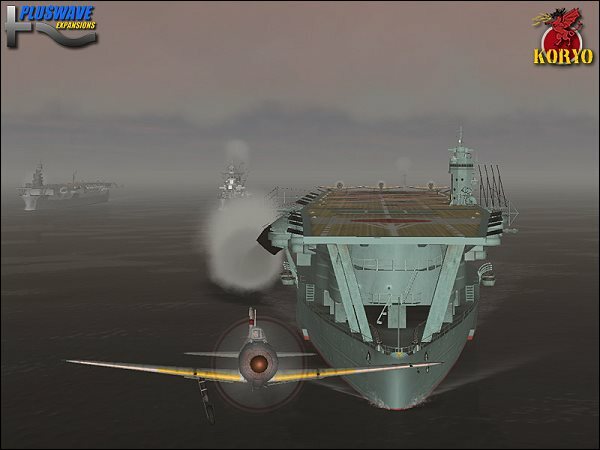 <1> The campaign ‘Cat Ball’ (US1) US Navy carrier fighters. US Navy Carrier Fighters over the Pacific. The great, extraordinary, lucky Raymond Palmer. Before you became a fighter ace you earned an 'ace' status as a womanizer. Handsome and charming you achieved many ‘romantic kills’ long before you became a legend as a pilot. You had a wonderful time as a young man playing with women. On the day before your fighter training ended, you granted yourself another victory, Sarah Bannert !. The experience was wonderful, hypnotizing and bitter. Just when you surprised the mystical Sarah Bannert with your incomparable ‘dogfight- techniques’, her father surprised you with his incomparable anger. From that scary moment on everything seemed to go wrong. Sarah’s father was a General. One of the old school. The General was a master of destruction and he made your career oneof his kills. 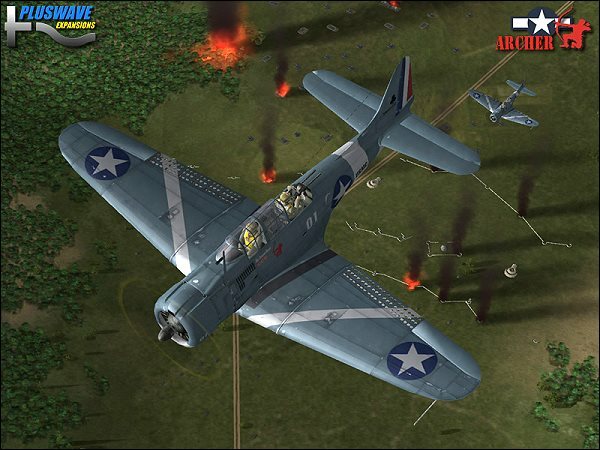 <2> The campaign ‘Archer’ (US2) US Marine Corps. 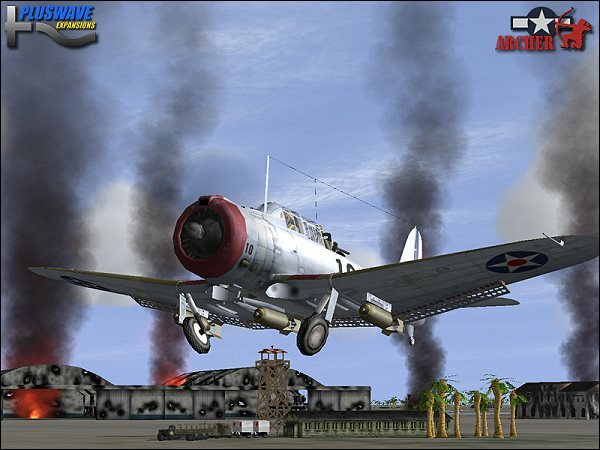 Dive bombers & fighters. 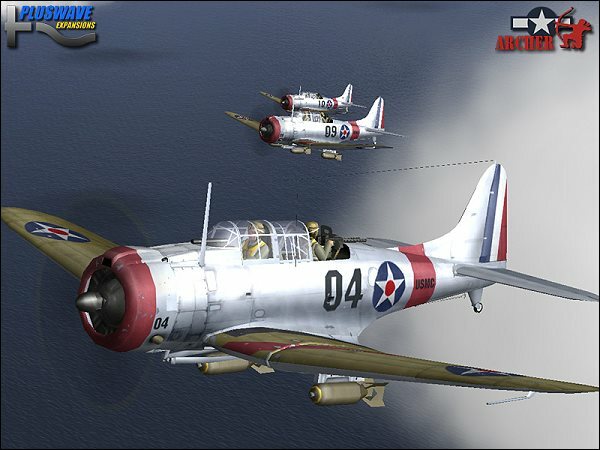 US Marine Corps Dive Bombers and Fighters. You were seven years old when your father let you take the controls of his plane for the first time. You were fifteen when you made your first take off and it was only a few weeks later when he let you make your first landing. A year later you flew alone for the first time. Nobody was allowed to know that and nobody ever did. When you were old enough you got your license in only ten days and it took only half a year for you to become known as a gifted show pilot. and you flew with a dead engine. You flew day after day and you grew older. When the coming war loomed over your country you wanted to be ready. To help your country. To fight the evil. 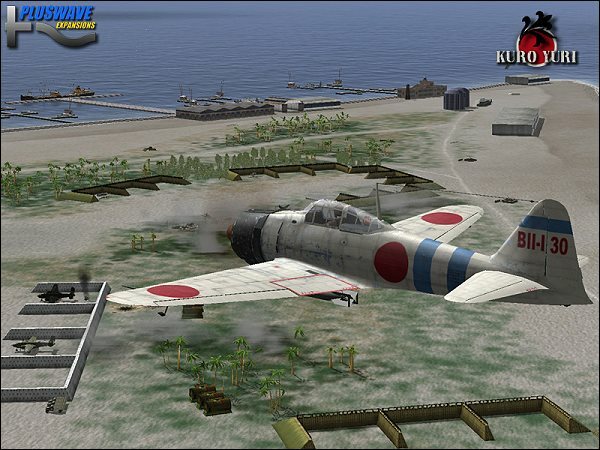 To shoot down enemy planes. You enlisted to the US Marine's flying school. You were the best pilot of them all. Better than most of your teachers. Too old! You were seven years older than your comrades. They said that you were too old to fly fighters. a dive bomber or the chair behind a desk. You had no other choice. You took the chance to fly for your country. Better a chair with wings than a chair with a cushion. But you didn't give up on your dream. You made a second request. 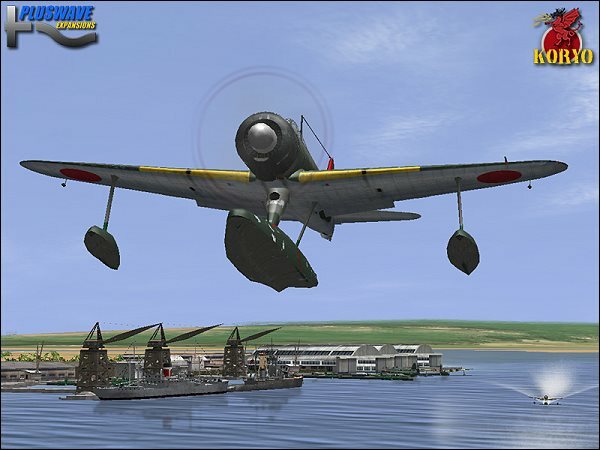 <3> The campaign ‘Kuro Yuri’ (IJ1) IJN carrier fighters. Kuro Yuri, the Black Lily. Child of an old Japanese noble family. Your family's Daimyo shows the Black Lily. The tradition of your family can be followed back to the middle ages. Admiral Yamamoto is a friend of your father. The two once traveled through the United States and got a picture of it's economic and industrial power. 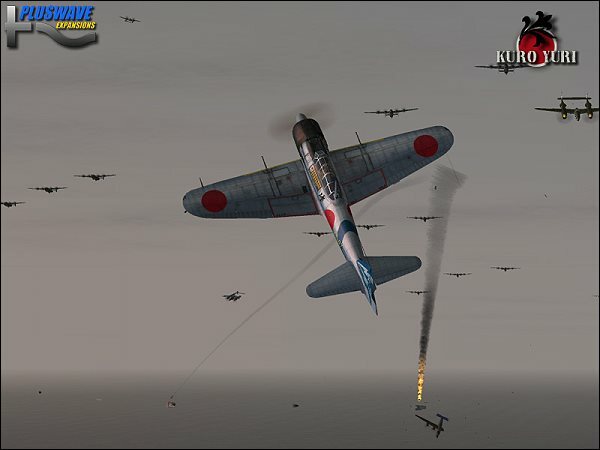 When the first shadows of a possible war againstthe USA appeared, you heard of Yamamoto's and your father's doubts about such a step. 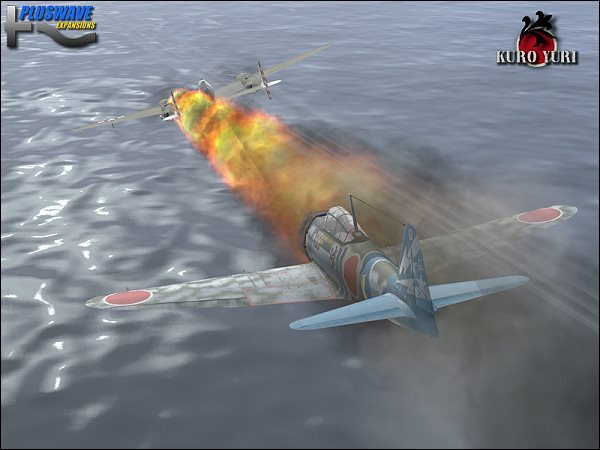 Ironically Yamamoto was given the responsibility for building up a planfor such an attack. You entered the Imperial Navy Fighters School. 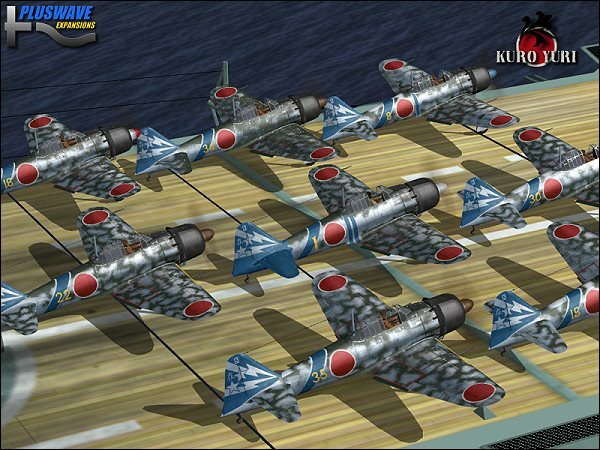 <4> The campaign ‘Koryo’ (IJ2) IJN various fighters. A Campaign like an Odyssey. Your name is Zenjiro Imari. The young child from the orphanage. The boy who was sent to the military school when he was nine years old. The patriot. The proud. The man without doubts. The soldier who's awaiting the fight. Fearless. Precise. Deadly. The four campaigns are described in detail on their specific sites. You can navigate to the sites by using the buttons left or by clicking on the campaign names above. 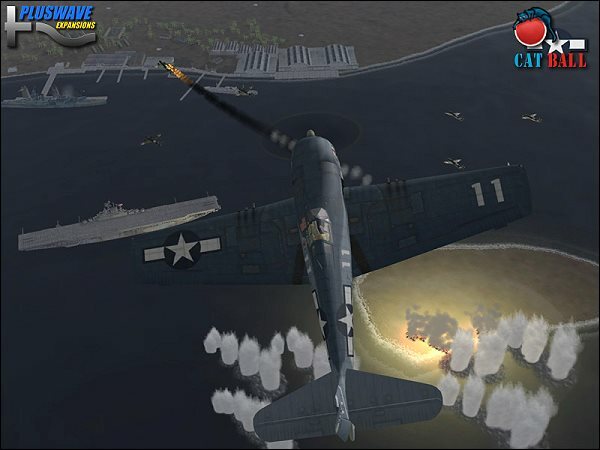 ‘Wings over Waves’ campaigns are concentrated on naval air warfare. 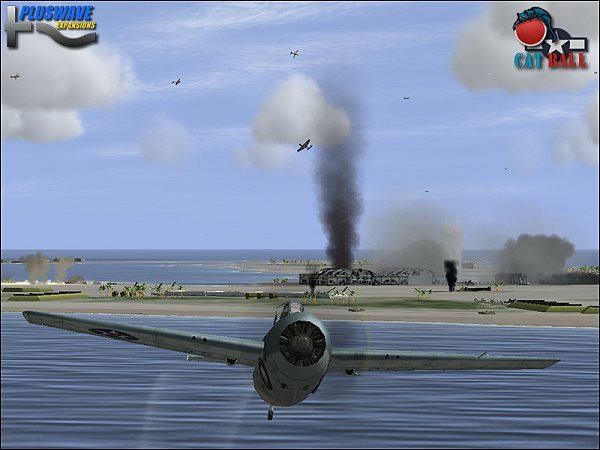 A second campaign pack, ‘Wings over Jungles’ (WOJ) shall be released short after ‘Wings over Waves’ and will concentrate on landbased air warfare over the South Pacific. All four campaigns in ‘Wings over Waves’ are playing during the timespan from end ‘41, the beginning of the Pacific War until mid/end 1943. A sequel is planned to be released soon to continue the stories of all four campaigns. 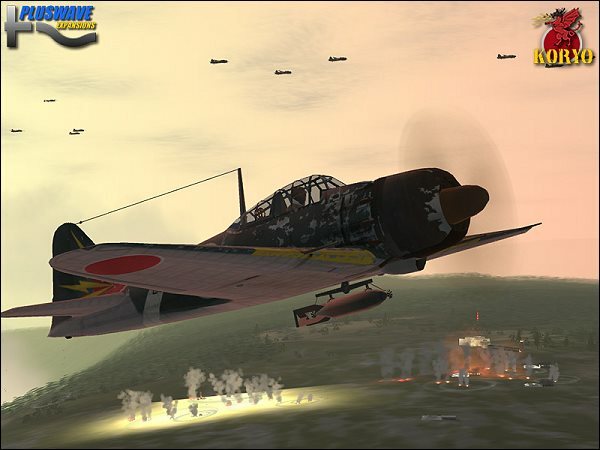 Pacific Fighters shall get an upgrade in which a number of new late war plane types shall be released. These new planes are essential for the sequel and couldn’t be implimented into the campaigns until now. That’s why we decided to combine four campaigns rather than two into the ‘Wings over Waves’ campaign pack and to span only the time until end ‘43. This product was added to our catalog on Thursday 25 May, 2006.